It’s no secret that there’s no “one-size-fits-all” method for growing a successful salon. It’s a combination of grit, strategic thinking, style and skill, all blended in a way that makes sense for your vision and your market. 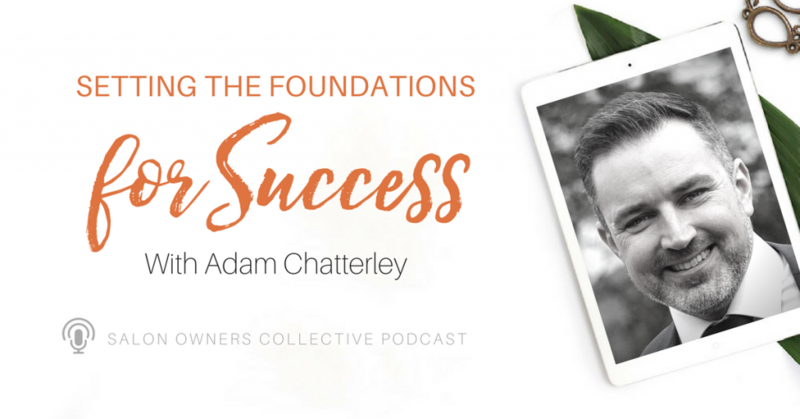 But, as Adam Chatterley, business strategist and consultant for beauty businesses and founder of Salon Business Secrets, shares, three non-negotiable pillars to create the foundation for every successful salon. Then, with all those other factors taken into account, they allow you to stand out from all the other salons in your area making your growth and success, inevitable. What those three pillars are, and how we can begin strengthening them right now and within just a few minutes. Which indicators to look at to determine who is your ideal client. Why it’s critical for salons to follow a value-based pricing structure in order to remain sustainable. What steps you need to take to ensure you’re constantly moving forward toward reaching the goals you’ve set for your salon’s success. A practice for deciphering which key performance indicators you need to be paying most attention to in your salon. CLICK HERE to learn more about Salon Business Secrets and to get Adam’s 25X Beauty Business Booster Toolkit.